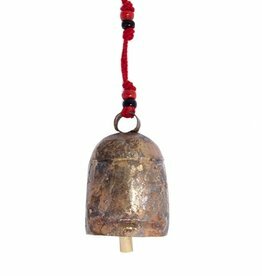 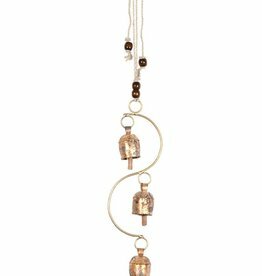 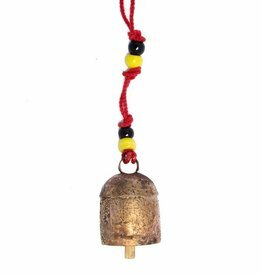 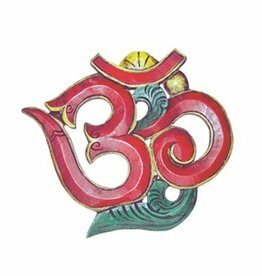 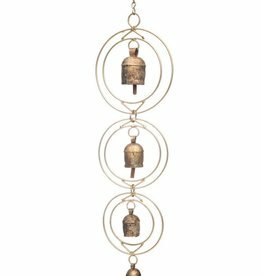 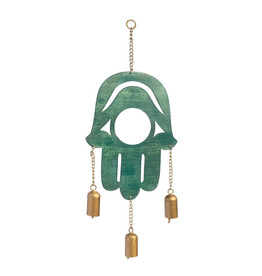 Upcycled metal hanging bell chime features three handcrafted copper bells in a hamsa hand setting with teal patina finish. 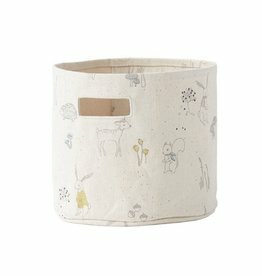 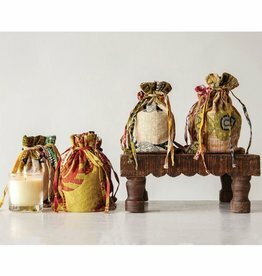 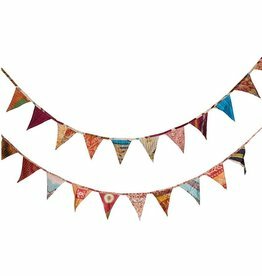 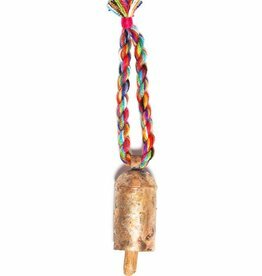 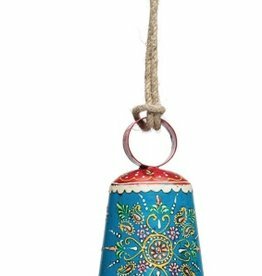 Joyful cylindrical bell crafted from upcycled metal with intricate handpainted floral detail in a vibrant array of colors. 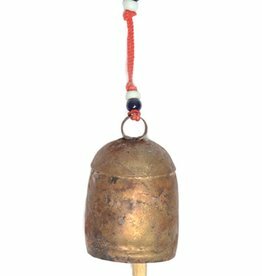 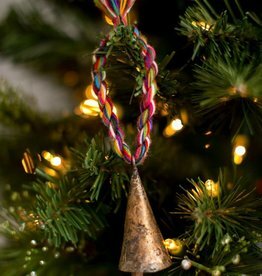 This handmaade bell is crafted from recycled iron sheets, which is covered in copper alloys. 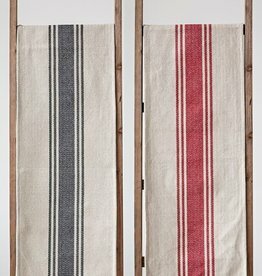 Cute cotton canvas table runner with stripes.